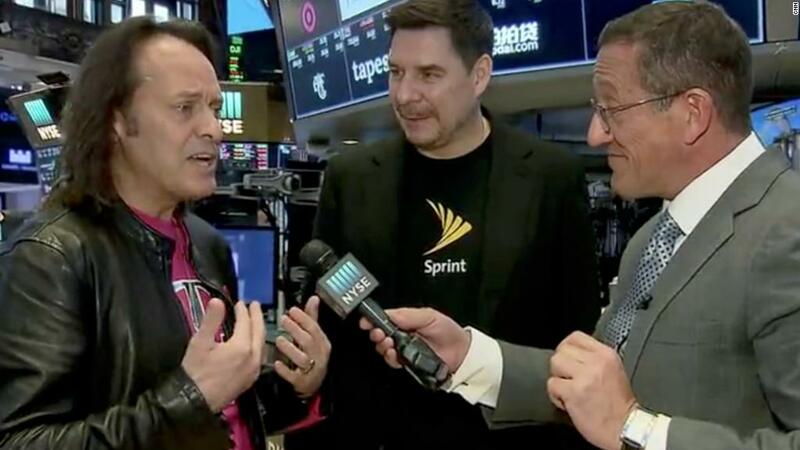 T-Mobile's (TMUS) John Legere and Sprint's (S) Marcelo Claure told CNN's Richard Quest on Monday that the merger of the two companies would make it easier for them to build out a national, high-speed 5G network before their rivals Verizon and AT&T do. During that time, the two CEOs have often taken potshots at each other on Twitter, part of the intense competition for wireless subscribers. But Legere and Claure now seem more comfortable jabbing rivals AT&T (T)and Verizon (VZ) instead. But Legere said the time is right for a deal because there's much more competition in the wireless world these days. He noted that cable giants Comcast (CMCSA) and Charter (CHTR) are now competing for the same customers as Verizon, AT&T, Sprint and T-Mobile.